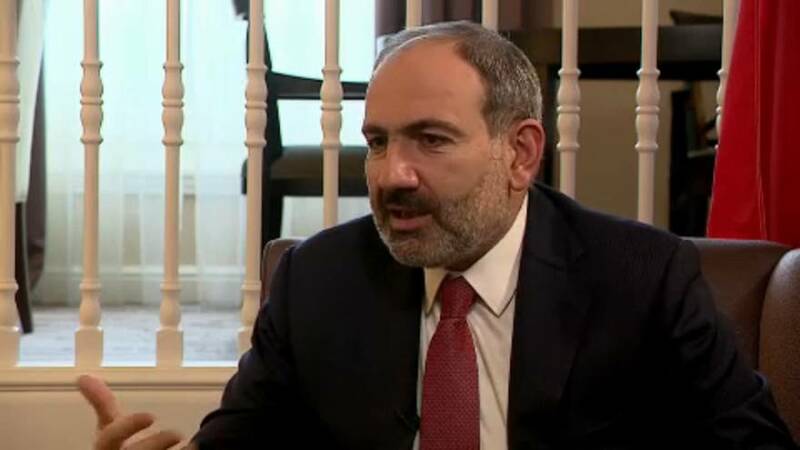 Euronews (Andrei Beketov) We are joined in Brussels by the Prime Minister of Armenia Nikol Pashinyan whose party had a landslide election victory in December. His personal approval rating apparently surged. Mr Pashinyan, since your comeback as a Prime Minister how is your foreign policy changing? Is Yerevan still balancing between Moscow and Brussels? Pashinyan: I don't think it's right formulation – to have balance as a goal. The most important goal of our foreign policy is to make our independence stronger and stronger, to defend our sovereignty and security etc. Euronews: EU is providing neighbourhood policy funding. What is Armenia offering to the EU? Pashinyan: We have Comprehensive and Enhanced Partnership Agreement with EU. Our government is fully determined to implement this agreement. It means to have really independent judiciary, institutional mechanism for fighting corruption and preventing corruption. Euronews: The issue of gas. You are negotiating prices with Russia. What did you learn from the experience of Ukraine which suffered from interruption of supplies? Pashinyan: I don't think we have to learn something from Ukraine's experience. We are discussing any opportunities of cooperation in field of energy with Iran, with Georgia, with Russia. We will discuss that with the EU. Euronews: Is economic reform now your top priority? Pashinyan: The system of ruling, of making changes in Armenia isn't authoritarian. For democratic system it's very important to involve more and more people in any process – economic, political etc. Euronews: I mentioned in the beginning your popularity. Is it possible that the current generation of Armenians will know only one national leader – Nikol Pashinyan - if you are re-elected over and over again? Pashinyan: If I will be elected through free and democratic elections – that's OK. If in Armenia there is a threat for creating authoritarian rule or dictatorship – there is no any chance of that. Democracy derives from our people and from our national set of values. Watch: What do citizens think 5 months after the Armenian revolution?